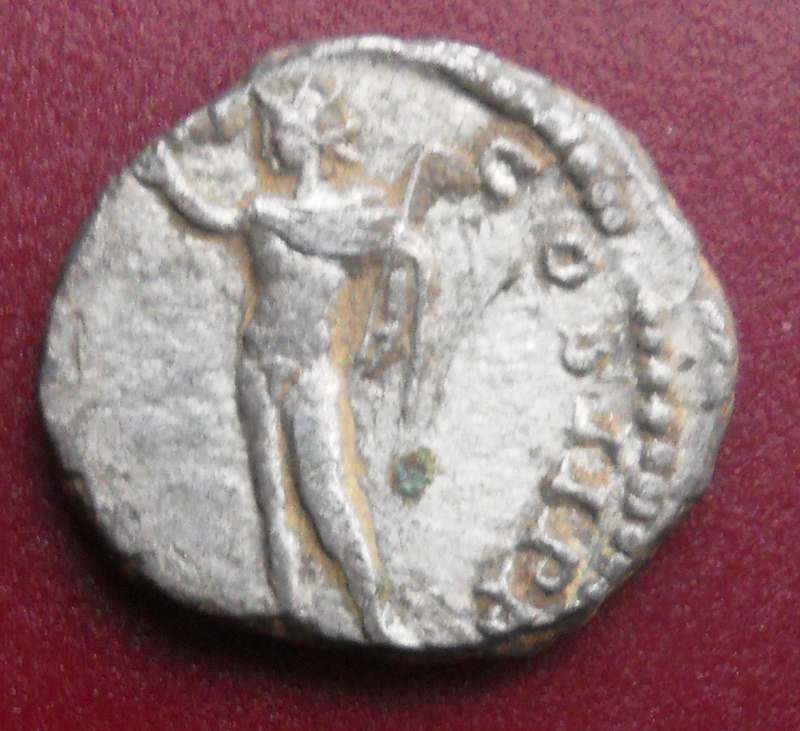 Over the festive period my Roman coin collection has increased quite considerably so here is one I identified earlier. 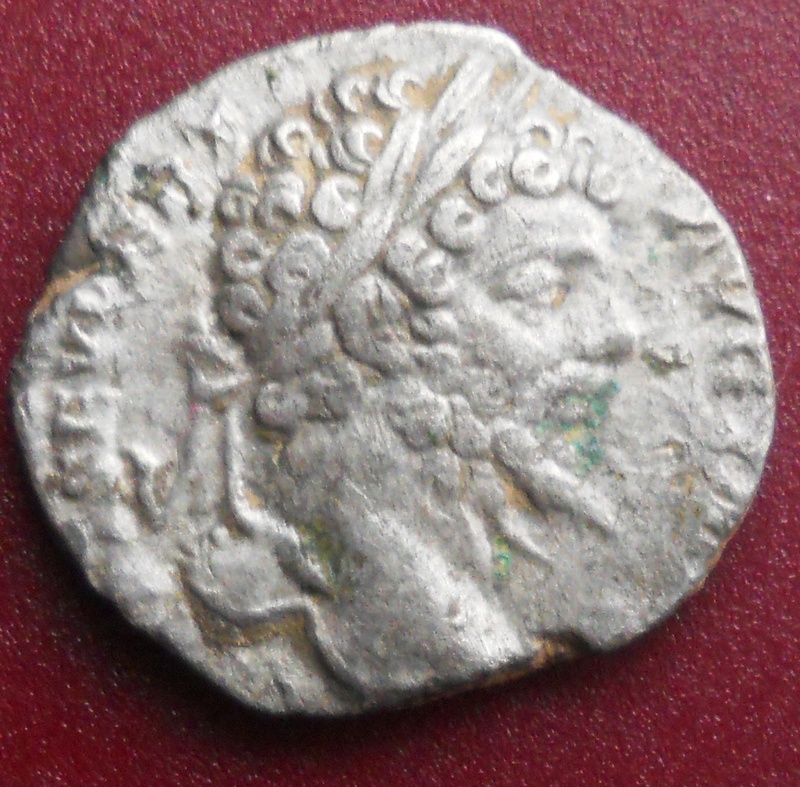 It is a denarius of Septimius Severus, emperor of Rome from AD193-211 the founding father of the Severan dynasty and saviour of Rome from civil war. In AD 193 Severus was only one of five men to claim the empire for themselves, to summarise very simply. Firstly and most legitimately Pertinax was made emperor before being turned over and the empire brought by Julians. Severus was then hailed emperor by his troops and accepted in Rome, however he still had two rival ‘emperors’ to silence first. By war and politics he silenced first Perscenius Niger in the east and then Clodius Albinus in Britain. recalling his titles as emperor and Augustus, his name Septimius Severus, and finally the first emperor of the year, Pertinax. Severus would have used this name on his coinage so as to claim an affinity to Pertinax and use his legitimacy to legitimise his own reign. This way he portrayed himself as his successor and avenger. Septimius Severus himself is an interesting character, as Rome’s first black emperor he demonstrates well the truly multi-cultural nature of the Roman Empire. The stock of the Imperial ruling class was not the singular preserve of the Italians, aristocracy indoctrinated into the Roman way of life could rise to almost unlimited power, in exceptional cases they could even become emperor as evidenced here. Of interest to me is that Severus was one of the few emperors to physically visit Britain for an extended time. He even took his sons with him to give them military experience, choosing Scotland as the battleground however Britainnia was the final province he would see as he died in York. Naturally or of an accelerated means, its often hard to tell nevertheless it wouldn’t be the last time an Emperor’s reign started from York in England.